Ranjan said the force needs the help of commuters so that they can make the quality of services at the Delhi Metro swift and memorable. 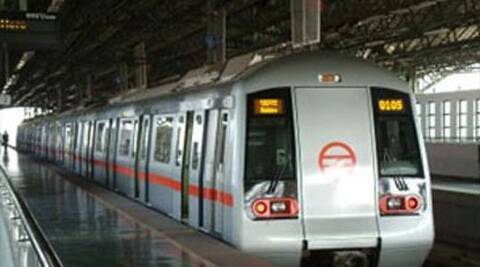 DG said the force has been roped in by the DMRC for securing the 92 new stations that will come up in the phase-III expansion of the Metro. CISF, which secures the Delhi Metro network, on Saturday appealed to commuters to “keep sometime for security checks” and cooperate with its personnel so that safe journey for them could be ensured. The paramilitary force has also taken on itself to thrash out issues related to passenger safety and security as it has tasked its Inspector General (IG) rank officers to attend meetings with all stakeholders involved in Metro operations like the Delhi Metro Rail Corporation (DMRC) and Delhi Police. “We have a polite request for Metro commuters. We want them secure and if commuters too want a free and safe travel without any difficulty, they should keep sometime for security checks,” Central Industrial Security Force chief Arvind Ranjan told reporters on the eve of the forces’ 45th Raising Day on March 10. The force is gearing up to the new measures as footfalls on the Delhi Metro are increasing everyday with close to 25 lakh people using the mass rapid rail network each day across 134 stations in the national capital region including Noida, Ghaziabad, Gurgaon and Faridabad. “You will have to see the crowds at select stations during morning and evening hours. There is a lot of rush and there is a lot of pressure. Despite the best equipments with our personnel, they are not able to utilise them to the fullest,” he said. There have been instances of brawl happening between passengers and CISF security personnel when it comes to personal frisking or baggage scanning in the Metro. The CISF DG said the force has initiated a pilot project to improve security measures and elicit cooperation from metro passengers at eight stations in Delhi and once the feedback is received, changes would be seen. Ranjan said that keeping in mind these requirements, CISF has decided to improve security ‘mock drills’ it conducts with other security agencies and disaster mitigation teams in the network, much of which is underground and tunnelled. The DG, who has headed the premier counter-terror force NSG before taking up the top post in CISF in December 2013, said CISF personnel will now deploy combat techniques used by commandos of the elite unit in undertaking special rescue operations at the rail network. The force has, in the last two months, also started new programmes to hone the communication skills of its troops posted for Metro security. CISF officials said Metro commuters, especially women passengers, should make the best use of the CISF helpline –011-22185555– to report any untoward or suspicious incident in the Delhi Metro. close to 5,000 CISF men and women are deployed for Metro security duties and the force has projected an additional requirement of 3,000 troops for these tasks to the Union Home Ministry. The DG said the force has been roped in by the DMRC for securing the 92 new stations that will come up in the phase-III expansion of the Metro. Ranjan said they have already identified their personnel for the task and will begin their induction training soon. The force has also decided to jointly share the feeds and video footage of the DMRC control rooms by posting their men at these locations and simultaneously increase the coverage of CCTVs in the existing Metro stations.